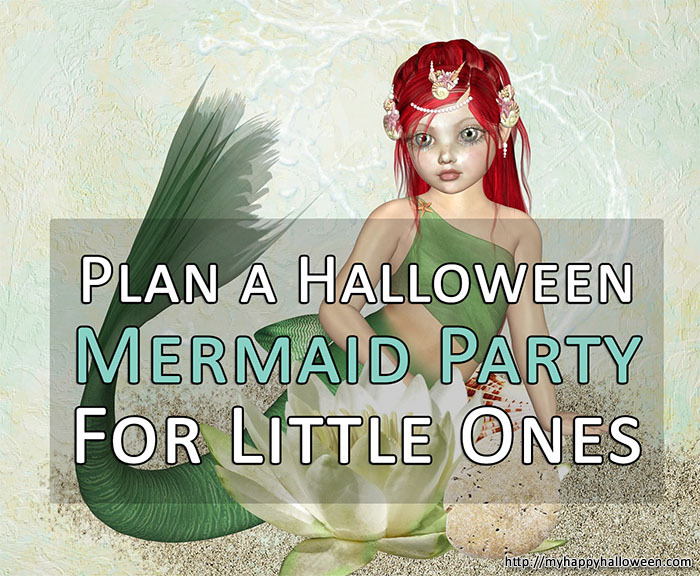 I think having a mermaid party for young children at Halloween is a great idea, especially for little girls. The younger kids love parties but are not really very keen on being frightened by the traditional Halloween antics that the older kids love. Smaller children are enthralled by the idea of dressing up as their favorite character or at least in a costume and I don’t know very many little girls who don’t like mermaids. Disney has the mermaid Ariel, Barbie has been a mermaid and there are a variety of other ones that little girls have been introduced to in books, movies and television shows. This is a great idea for the parents who do not feel comfortable taking their smaller children around the neighborhood to knock on doors for treats. It is also a fun idea for a church to hold for their younger classes. 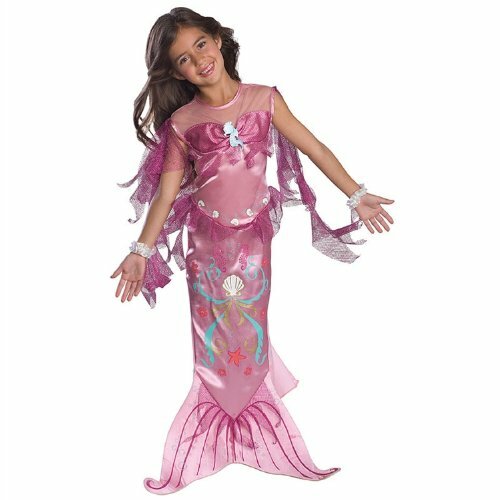 There several styles of Mermaid costumes available so that each little girl looks different at the party. Won’t that be fun to see how differently each little girl chooses to dress up? When it comes to decorating for the party, you are going to have so much fun! There are several options for mermaid party supplies both online and in your local stores. I recommend that you make a choice when it comes to the decorations. Do you want to go with a Disney Ariel theme or would you rather go for a non-Disney theme? You could do a combination of both if you like but there are so many options that it might be easier to do one or the other. Since mermaids live in the sea, it is only reasonable to think of a beach as a part of the party decorations. 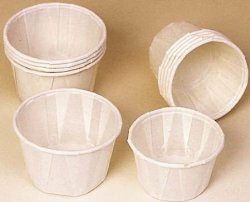 I saw some really cute little cupcake picks that are shells, sand dollars and starfish that would be adorable as a part of the refreshments. Cupcakes are a wonderful choice when doing a party of younger children. They are much easier for them to eat and for you to make. It doesn’t take any time at all to whip up a batch from a cake mix and then just put some frosting on them and add a cute little themed pick…voila party refreshments! Your party favors can be a mixture of mermaid and beach items, too. Little necklaces or bracelets that either have a mermaid or shell would be adorable to give to the little girls who come to your mermaid party. Place the items that each little girl will take home in a sand bucket along with some Halloween candy. I thought of this idea because I am a grandmother to a little girl who will be 3 by this Halloween. She adores parties, loves to dress up in costumes and mermaids are one of her very favorite things in the world. She would be too shy to go from door to door asking for treats and she gets frightened pretty easily with things that would not be scary to children older than her; so I can only imagine if she was confronted with witches, ghosts and zombies. Oh my! 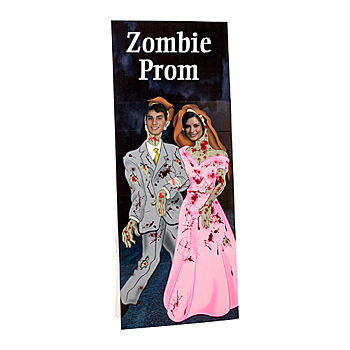 I just think it is an awesome alternative to a traditional Halloween party. Tagged halloween parties for children, mermaid costumes, mermaid party for kids.